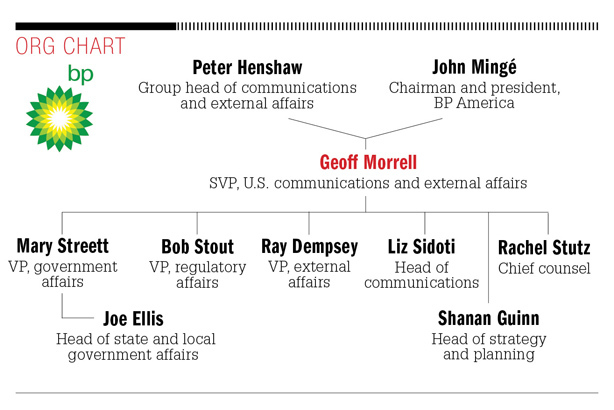 Former Pentagon comms pro Geoff Morrell maneuvers BP through turbulent waters marked by a reputation crisis and market freefall and, in the process, helps the brand take back its story. It’s April 20, 2010, and the Deepwater Horizon offshore rig explodes, hemorrhaging millions of barrels of oil, and much of BP’s brand reputation, into the Gulf of Mexico. What follows is a well-publicized slate of communications missteps that exacerbates the situation, eventually resulting in the resignation of the notoriously tone deaf then-CEO Tony Hayward. The incident becomes the largest oil spill in U.S. history. Clean up took years and litigation continues to this day, and outside the spill’s news cycle, BP, a brand previously omnipresent in newspapers and on the airwaves, goes quiet in fall 2010. BP leadership takes stock and begins to shape what is essentially Spill 2.0, a communications strategy that evolves alongside the day-to-day triage of a disaster of the magnitude of the Deepwater Horizon explosion, which killed 11 people. Enter Geoff Morrell, former press secretary at the Pentagon and ABC correspondent, who is hired to head up BP’s U.S. communications in September 2011. The priority becomes telling the story of what BP was doing to make things right post-spill, the billions spent on clean up, and the company’s efforts to become safer. The team took its current model down to the studs, embarking on an internal communications overhaul that involved everything from people to process. That effort kicked off with discussions around the values and goals of the new department, as well as how the team related to other departments in terms of information sharing. Within BP, in-house talent was reorganized and external talent was hired to combine new perspectives and institutional knowledge with a comms mandate to get more assertive about engaging audiences. "We were not going to wait for the phone to ring," says Morrell. "We were going to make calls and not get wrapped around the axle by attorneys on how to respond to every query and miss the news cycle. Internally, we figured out a better working relationship with our attorneys, so we could be more responsive." Morrell has a dual report to Peter Henshaw, U.K.-based group head of comms and external affairs, and John Mingé, BP America’s chairman and president. 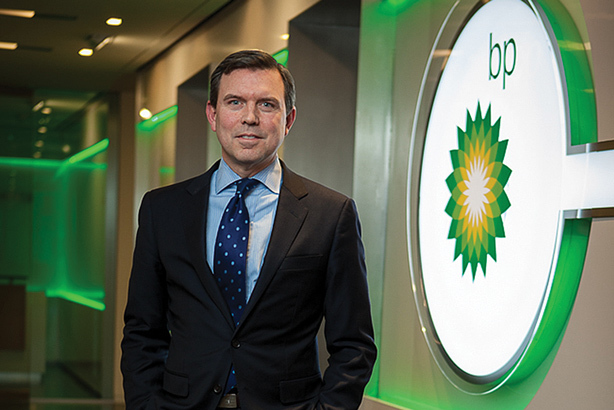 Henshaw and Mingé report to Bob Dudley, BP’s chief executive, who succeeded Hayward in 2010. Henshaw took over group communications at the beginning of 2011 and centralized the function to ensure common standards, procedures, and training. Advertising was incorporated into the comms function a couple of years later. And last year, Henshaw merged communications and government affairs into one combined, integrated function. "As logical as that sounds, it was a very big deal in this company. Making the decision is only half the battle. You then need to integrate organizations that have operated separately for decades. That transformation took time," says Morrell, who was named SVP of the newly formed U.S. communications and external affairs organization in September 2013. Morrell credits Mingé and Henshaw with allowing him unfettered access to Dudley or any C-suite executive he needs to speak to for real-time direction. At the time of the spill, BP hired Ogilvy Public Relations to handle its social media response, a function it has since brought in-house. Brunswick handles litigation communications, an "art unto itself," says Morrell, and BP also partners with Virginia-headquartered bipartisan consultancy Purple Strategies. BP research showed people mainly wanted to know if the company had honored its commitment to restore the Gulf economically and environmentally and become a safer company post-spill. Telling that story was priority number one and leadership gave the green light to start advertising again. "I could have built the best earned media operation around, but you’re only going to move the needle so much," says Morrell. "We needed paid advertising to get attention and change the conversation." Morrell and his team formulated advertising to serve as a report card on progress and he contends that earned and paid media efforts gave people a better appreciation of what BP was doing in the Gulf and that it was safer. Amid the progress, however, another issue reared up as the company was still mired in spill-related legal and financial liability issues. "We came to be viewed by many people as an open cash register, handing out money in the Gulf to anyone reporting to have been harmed by the spill," says Morrell. "We felt we were being ripped off and losing up to $100 million a week in fraudulent claims and no one cared." Morrell includes the media in that, who he says were more focused on covering courtroom developments. To draw attention to the problem, BP took out full-page ads in The New York Times, The Washington Post, and The Wall Street Journal twice a week for several weeks — "which were very expensive, unconventional, and risky, because we were essentially the villain playing the victim," says Morrell. The ads got the attention BP desired, with coverage in Bloomberg Businessweek and a big feature on 60 Minutes fronted by Morrell himself, which resulted in reforms within the system that significantly reduced the problem. "We angered a lot of people, but we felt it was important. We had a fiduciary duty to our shareholders to deal with this and if it took unconventional means, so be it," he says. And while Morrell was not at BP when the explosion occurred, he staunchly defends the company’s overall response. He calls the spill "a tsunami that would have knocked most organizations off their feet." At the time of the explosion, BP had to simultaneously balance the needs of Congress, regulators, and affected communities with the need to understand what was going on, cap the well, and minimize environmental impact. "Congress doesn’t wait for you to get everything tidy before it wants answers. [BP] was juggling a lot of balls, all of which had enormous reputational and legal consequences," adds Morrell. In total, BP has provisioned or paid $55 billion in costs associated with the spill. "That’s an enormous amount of money," says Morrell. "Few companies, few countries even, could have met that obligation and still functioned as a company and delivered for shareholders." There is still a securities class action working through the courts, but Morrell says the largest issues have been addressed. The company had to sell $40 billion in assets to raise cash to handle its financial liabilities. However, the hits kept coming for the oil-and-gas giant elsewhere. While maneuvering through spill-related issues, BP was simultaneously buffeted by an economic reality rocking the entire industry: plummeting oil prices. Budgets were slashed in myriad areas, from research to communications, and personnel were laid off "to reflect the fact that the commodity we sell has diminished in value over 70% in the last year and a half or so," says Morrell. That market reality was reflected across the board in quarterly energy company financial reports. In Q1 2016, BP lost $583 million compared with a $2.6 billion profit in the same period last year. Exxon posted its lowest quarterly profit in a decade, while Chevron reported a net loss of $725 million compared with net profit of $2.6 billion 12 months earlier. Smaller budgets internally meant many departments across BP had to rethink their strategies. Post-spill, the general population had a vested interest in the wellbeing of the Gulf, but after some time passed and facing resource constraints, BP needed to focus more on stakeholders, such as federal and state governments, which are integral to its ability to operate and deliver energy. Morrell and his team had to pick their spots on the comms front and chose getting "people to better understand us, rather than having people like us." Like, approval, and trust, he adds, was an unrealistic expectation immediately after the spill. Messaging that highlights BP’s $90 billion investment in energy in the U.S. in the last decade became the focus. Navigating its trial by fire and coming out the other side has given BP battle-tested disaster experience. Morrell contends that BP’s response to a crisis of the magnitude of Deepwater Horizon, including the proactive setting up of a claims operation, reaching settlements, making safety enhancements, and going "to hell and back," has helped expand the company’s relations with governments in Brazil, India, and Australia. And he believes BP’s reputation is in a dramatically better place than five years ago. "Some may say that’s not saying much, but there is no guarantee you’re ever going to recover from a tragedy of that magnitude," says Morrell, adding that "it took a lot of work by a lot of people" to get the company back to a place where it was investing billions and producing tons of energy. 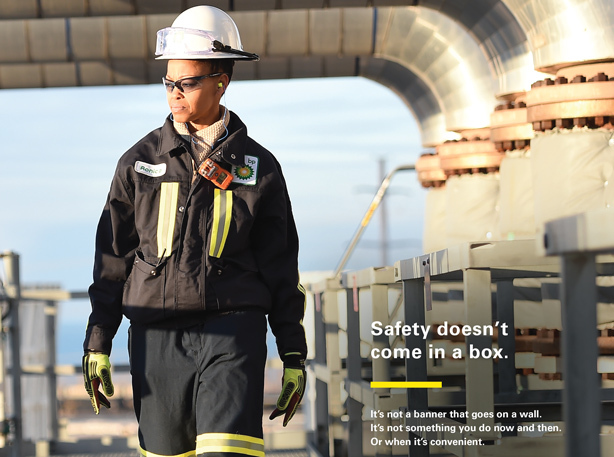 BP is now focusing messaging around its enhanced safety measures and in April launched a campaign to tell that story. And while the company is investing $25 million, a quarter of what would have been spent in a more flush market, Morrell says the multichannel effort, which will continue through the end of the year and includes print, broadcast, and out-of-home advertising, is every bit as ambitious in terms of outreach and creativity. In the wake of the spill and the oil-price freefall, Morrell looks forward to a "point where we can see beyond 50-meter targets and look down range." But, compared to six years ago, Morrell says there is a new normal at the company — "a pace of operations, expectation of workload, and risk profile that didn’t exist before and I don’t see ever going away. It has dramatically changed how we work." 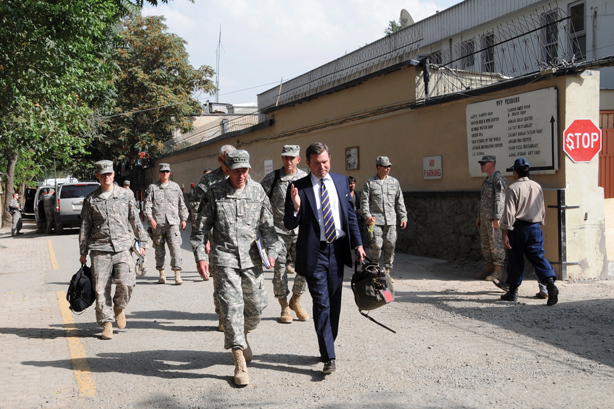 Prior to joining BP, Morrell worked at the Pentagon under then-Secretary of Defense Robert Gates. He sees many similarities between Gates and BP chief executive Bob Dudley, among them integrity, quiet confidence, and steely reserve, particularly when under enormous pressure. Gates, in turn, was adamant Morrell remain as press secretary during the administration transition from President George W. Bush to President Barack Obama. He wrote in his memoir, "I trust this guy to do and say what I want. I could count on him to criticize me to my face, tell me when I had given a poor answer to a question, question my patience or impatience with others in the Pentagon, and question a decision." Morrell remembers his four years at the Pentagon as "amazing." "I left without yearning for something I didn’t have a chance to do or wishing to go back," he says. "I arrived during the Iraq War when casualties hit their peak in June 2007. To see the surge’s dramatic impact turning the tide in Iraq and then see the surge in Afghanistan fixing the situation there, and ultimately resulting in getting Osama Bin Laden, I couldn’t have asked for anything more."